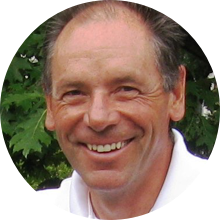 David hails from Edinburgh, Scotland and brings 40 years of sailing experience to the table. He is a Royal Yachting Association Yachtmaster, a US Sailing Keelboat Instructor, a PSIA-Alpine Ski Instructor, a PADI-Rescue Diver and a SHRM- Senior Professional in Human Resources. David is one of our most popular coaches and has a dock side manner guaranteed to calm the nerves of any new sailor.